Superhero fans love to collect manikins as well as merchandise related to their favorite action figure. Finnish company 3D Online Factory- Launzer understands the importance of superheroes in every fans’ life. So to keep some of the most thrilling memories alive, the firm often designs various 3D printed figures for all superfans, across the globe. 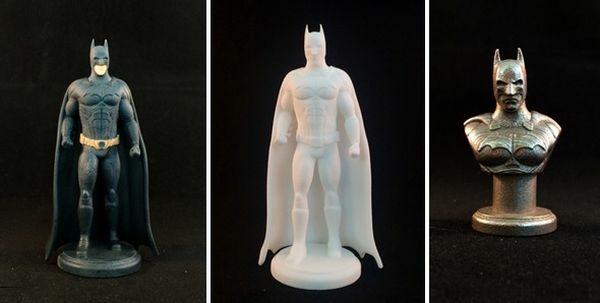 Taking the 3D printables to next level, the firm has now created the world’s first 3D printed Batman figures. You may have already seen various 3D printed Batman suits for cosplay, but official 3D printed display models of the DC’s Dark Knight are launched for the very first time. The online marketer Launzer has collaborated with i.materialise to produce more Warner Brothers characters in shape of metal or polyamide figures. We are really proud to be the first to bring Batman alive in the 3D printing world. Batman has always been a pioneer in new technologies and 3D printing is a natural step for this superhero. 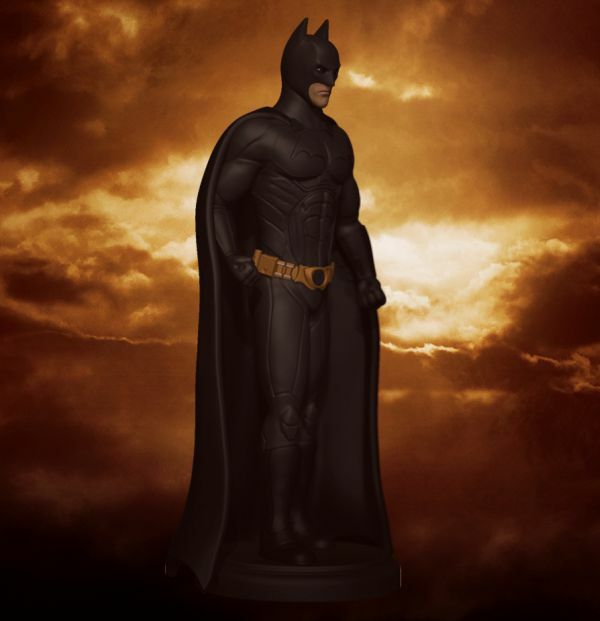 The latest Batman line up is inspired from ‘Batman Begins’ movie and available in three different 3D printed materials such as multicolored full figure, stainless steel torso and paintable white polyamide figure. While all three of them seems absolutely fantastic, but we personally loved the unique ‘paintable white figure.’ This is because this colorless figure is designed for do-it-yourself fans to give interesting makeover to their favorite masked superhero. Batman figurine lineup will be followed by other DC Comics superheroes and villains such as the Joker. Apart from that, kids’ productions like the Looney Tune will also be officially 3D printed very soon. For now, these stylish Batman collectibles are available in EU and EEA areas. It’s availability in other regions has not been confirmed yet. 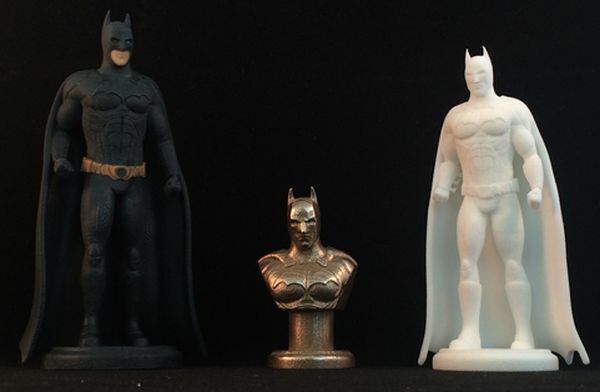 Spare your thoughts about Batman’s official 3D printed makeover.